Dousing received good-naturedly by crowd. 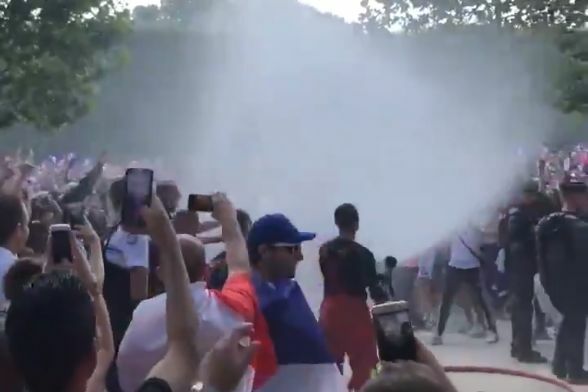 A fireman sprayed a crowd of France fans with a hose as they celebrated Les Bleus winning their first World Cup since 1998. The combination of high spirits and hot weather meant that the dousing was well received. A 4-2 win over Croatia saw Didier Deschamps’s side prevail at Russia 2018, having defeated Argentina, Uruguay and Belgium en route to the final.